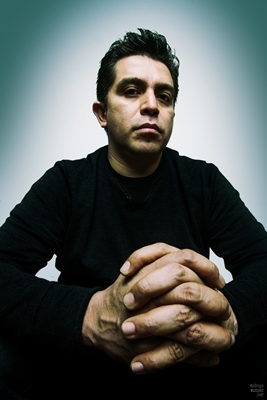 Roberto Ruiz is the chef who has taken Mexican fine dining to Spain with his successful restaurant Punto MX. In this Q&A we talk about how he ended up in Spain, how he became a chef and of course about true Mexican food, keep reading. In 2012 Roberto Ruiz opened Punto MX in the center of Madrid. 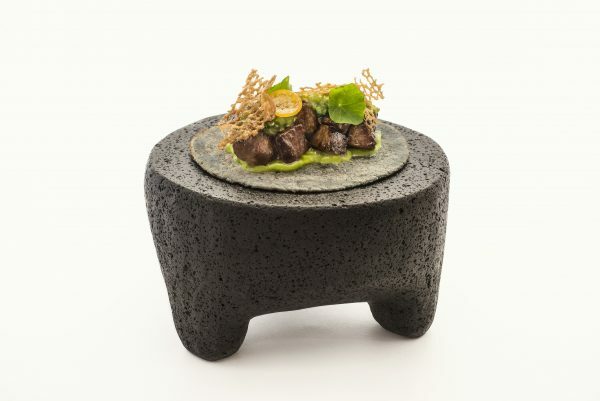 Since then the restaurant has earned a Michelin star, making Roberto Ruiz the only Michelin-starred restaurant in the world serving only Mexican food. 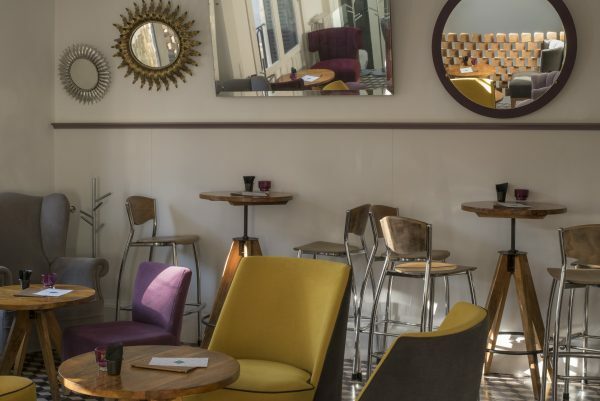 It’s safe to say that Spain and Madrid have taken both Roberto Ruiz and Punto MX to its heart, something the three-month waiting list for a table is proof of. 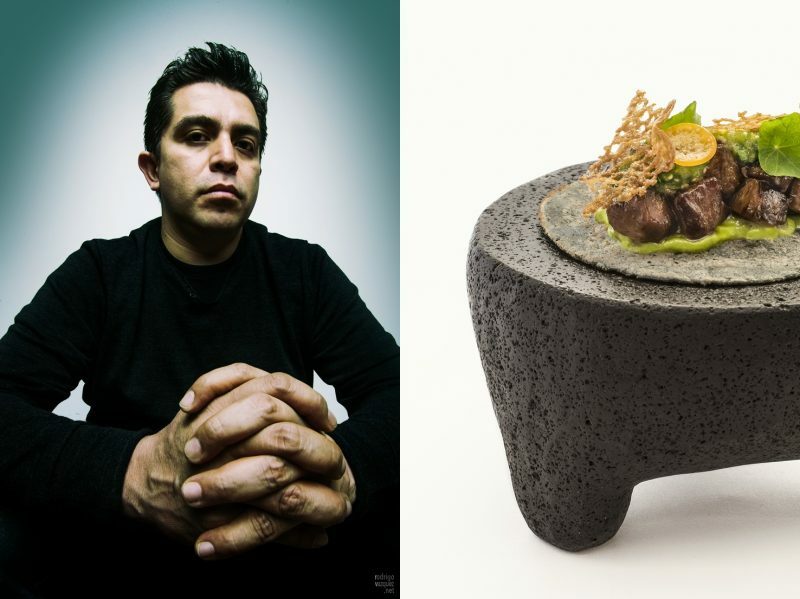 Luckily I got the chance to talk to Roberto Ruiz about Mexican food, becoming a chef and much more. The love of food and the moments that are generated around the kitchen and a table. That on the one hand, and that I come from a family where they cooked and ate a lot. These factors greatly influenced me. But it was when I went to work at a restaurant, that changed the pace of life and, above all, the way of understanding this job. When I started in Mexico 22 years ago, there was no boom, nor of Mexican food, nor of being a chef. It was just a job then. Manipulating food and being able to transform it was very noticeable for me. The reason was the invitation of the Royal Patronage of the Prado Museum, to work for 3 months with them. That became 11 years. First, 7 years with the group Sigla. Then I started working at El Bodegón Restaurant, the rhythm, the chefs, the technique and the presence of Hilario Arbelaitz. For me, one of the best traditional cooks in Spain, caught me once again, as it did when I went into a professional kitchen in Mexico for the first time. Although, the codes there are completely different. It was necessary to understand that our kitchen could be made technical and could reach that (European) degree of exquisiteness and presentation. 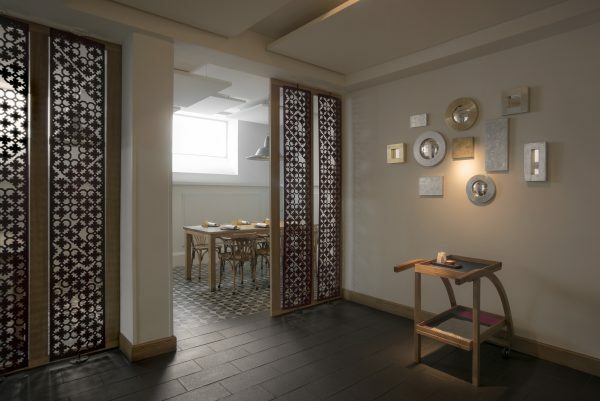 You opened Punto MX in 2012, how would you describe the restaurant? It’s a restaurant that was born with the vocation to offer very good Mexican cuisine of authentic flavors, and then, the constant restlessness of not stopping. Being willing to change, has been one of our greatest successes. When you came to Punto MX two months after your first visit, you would find a new restaurant. This was our way during the first two years in terms of evolution and staging. But the gastronomic theme has always been to distinguish the values and pillars of authentic Mexican cuisine, reproduce them and reinterpret them in another model of kitchen and restaurant. Has it been difficult to make guests understand Mexican food considering it is so unusual with Mexican restaurants at your level in Europe? It wasn’t unusual. 5 years ago there was none at all. There were, and still are two difficulties. First, the ingredients, spices and the vegetable garden to offer a serious, honest and authentic Mexican cuisine in terms of flavors. And then, on the other hand, actually opening quality Mexican restaurants, so people get to know all the greatness of Mexican cuisine. And that is an almost pedagogical task. For example, we started with a glossary to give guests tools to choose well, as well as the explanation of each of our dishes by our front of house team. In that way the experience was greatly enhanced. People should know what they eat and where it comes from. Do you think Tex-Mex food is beneficial for Mexican food or a disadvantage? I think it’s the worst relationship that exists with Mexican cuisine. First, because Tex-Mex is not Mexican cuisine, but people think it is. That creates the perception that it is a cheap and simple kitchen without technique when it is the opposite. It is a sophisticated cuisine from its origin, has many endemic ingredients and techniques that make it unique. 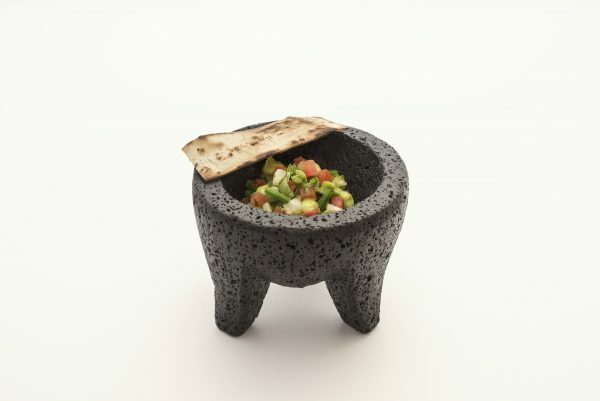 Do not forget that it is a cuisine of millennial tradition that in Mexico has been cooked for over 6,000 years. How do you work with ingredients, Spain is also a warm country but can you get all the ingredients you need or do you have to compromise? We generate the ingredients. We have 3,5 hectares Mexican orchard. The first of Europe, in which we generate more than 25 different chiles, spices, corn that provides our kitchen. This year we had the opportunity to go to Oaxaca, where Juana Amaya learned us different chile seeds; chilies that just happen there. We try to make our orchard more robust, strong, to offer a very authentic piece of Mexico. Not everything grows in Spain due to alkalinity, the sun, etc. And now, as we reach our 5th anniversary, we know we have the best garden we could imagine. It is one of the factors that allows us to continue to evolve. Have you found any new favorite ingredients in Spain, something that you would miss if you would go back to Mexico? In Spain I have learned to know many ingredients that do not exist in Mexico. The carabinero shrimp, for example, is an almost indispensable ingredient for the kitchen of Punto MX. We have presented it in different versions. Iberian pig, we cannot live without it. The dairy, cheeses are also very important. And increasingly, we are integrating local ingredients. Spanish products play a more and more essential role in our cuisine. What would you say are the flavors the define Mexican food? They are very well defined and forceful. Intense, alive. Like chilies, depending on their process, freshness, dryness or smoke, behave completely different. It also has sourness. It is a kitchen with character, but it’s difficult to define it as there are many types inside the Mexican kitchen. The country is the size of 60% of Europe and each area is different. You also have the Mezcal Lab in Madrid, what is that? It’s the first space in Europe for this wonderful distillate. In principle, it was a bar where we wanted to promote the wonders of Mezcal but has ended up becoming an independent concept of Punto MX. Mezcal Lab is where we create the cocktails for Punto MX, El Lab, Cantina y Punto and Salón Cascabel. It’s literally our laboratory and collection of mezcals. In Spain and Europe there was no habit to pair food with this type of alcohol, we needed to create a cocktail that managed to bring the guest closer to this distillate. 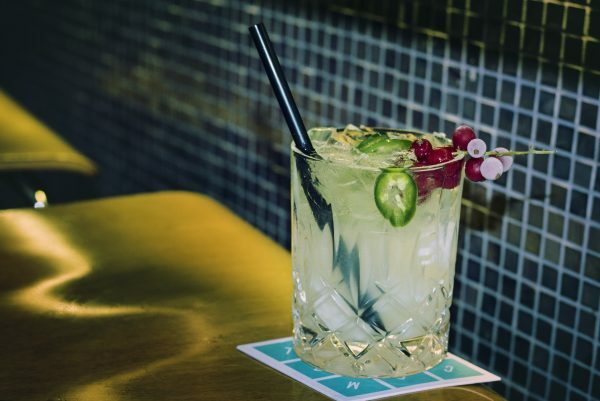 In addition, Punto MX has the mezcals trolley, which is also the first of its kind in Europe, that brings you to the depth and exquisiteness of this Mexican liquor. What do you like about Mezcal, what is it that makes it a favorite for you? First, what is behind it. Because it reflects a very pure and authentic Mexico, of working people, honest and with a very strong tradition. And once it’s in the bottle and you drink it, I define it to be a social lubricant. It is exactly that, a drink that generates situations and links that only are achieved with it. So I really like to drink it, I really like to be a part of the whole cycle, from the planting up to this moment. I try to keep on learning. It’s a profession in which if you stop learning, you get stuck. It’s very dynamic and always changing. You learn from everything, from what you like and what you don’t like. It acts as an inspiration to be able to move forward. Mexican cuisine is so big that we need to continue discovering and see how can we transform and transfer it to our restaurant. The idea is that it’s a platform that will make the authentic Mexican cuisine known in Europe, and hopefully also to spread it. Tomatoes. They are on everything, they differentiate our kitchen and are a part of the signature we have. Tomato and fire when transformed, are Mexican tastes. There are many places to discover, but Mexico remains on my list. I still have a lot to learn and now there is a transformation that I would like to learn about deeply and become a part of. Being far away you value it much more. I don’t have a particular destination; it’s just this concern to continue knowing my country and its surroundings. My interest is in the fresh energy of Mexico and Latin America. Diego Becerra, from Mazatlán, who rescues recipes, that due to their complexity or time of elaboration are almost forgotten. Thank you Roberto Ruiz for your time and keep doing great stuff. More about Punto MX and the other restaurants of Roberto Ruiz below. Birth city: Ciudad de México, México. Punto MX was opened in 2012 in central Madrid by Roberto Ruiz. The restaurant offers a daily Mexican tasting menu. The restaurant is located on Calle del Gral. Pardiñas, 40, Madrid. For reservations and info visit Punto MX online here. I also recommend checking out Punto MX on Instagram and Twitter. Since tables are hard to get by at Punto MX it’s a good thing that there are options. You can check out the Mezcal Lab which is located at the same place as Punto MX. There is also Salon Cascabel which is a less formal Mexican restaurant. In addition to this Roberto also has Cantina y Punto in Bogotá, Colombia.